Don't forget to click on the 'select windcatcher choice' to choose your design! It is a 'drop down' box. 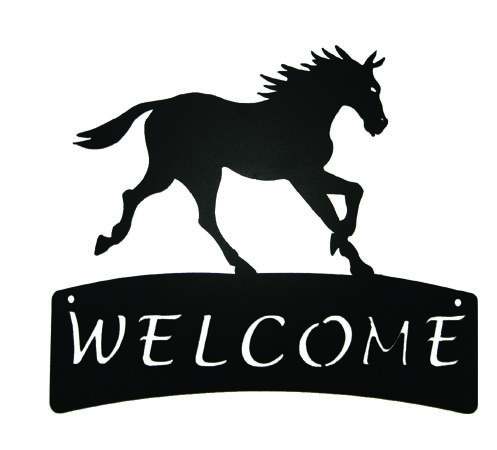 Greet your family and friends with these crafted Welcome Plaques! Each of these welcome plaques are about 13.5 inches wide and powder coated in a nice textured black. Two quality screws are included in the price.